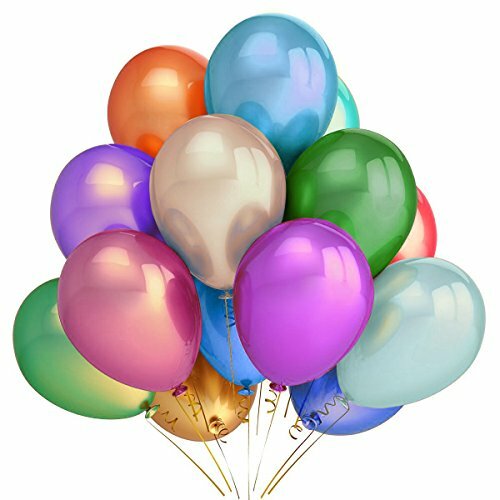 VALUED PACK : Approx 300 Balloons for all decoration events. Great variety of colors perfect for all kinds of occasions. PREMIUM QUALITY : Made of really high quality natural latex, it is non-toxic. IDAODAN latex balloons is ideal to give you more professional feel, more safe and more funny to all your special days. CUSTOMER SERVICE : If you are unhappy with your balloons, simply return it within 30 days for a full, no questions asked refund. If you have any questions about this product by IDAODAN, contact us by completing and submitting the form below. If you are looking for a specif part number, please include it with your message.